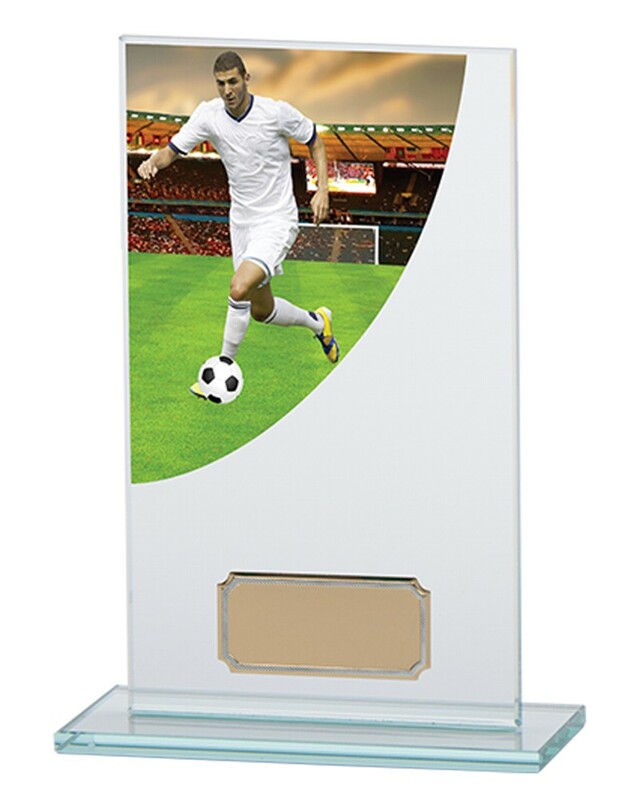 Full Colour Curve Football Glass Plaques. Available in 4 sizes, 140mm, 160mm, 180mm and 200mm high. Full colour football curve on a premium jade glass plaque. A great value award to present to your football team.